If you are a driver for Uber or any other ride-sharing or taxi-hailing app, then it is a good idea to make sure you know about all the car insurance implications. The taxi hailing mobile app Uber has seen tremendous growth since it was first founded in 2009, and it is now a common sight to see cars with the Uber logo on them in just about every main city in the UK. The app allows users to find available cars and request a ride, which the drivers can then respond to and pick the user up. Obviously, this sounds a lot like a private hire taxi service – but Uber have consistently refused to take on that label and prefers to position itself more of a transportation technology company which connects users with drivers via their app. Therefore, Uber sees the drivers who use their app as independent contractors – which means that the company does not oversee the conduct of the drivers, nor is Uber responsible for the condition of their vehicles. Uber has become the subject of numerous protests and disgruntlement from traditional taxi drivers who claim Uber drivers are at an unfair trading advantage because they are not subject to the same stringent licensing checks and rules. If you are an Uber driver you should subsequently be very aware of what your own car insurance requirements are, because you are effectively an independent contractor. Although it has been operating since 2009, Uber is relatively new to the UK. It only started expanding into international territories in 2014, and before then it was available exclusively in the UK. 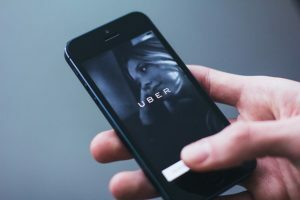 Subsequently Uber offers some level of insurance to drivers in the US – which covers for part of the private hire journey, but does not cover the driver for personal journeys i.e. when they do not have passengers on board. This insurance arrangement is not available to Uber drivers in the UK, which can lead to confusion for some drivers. Uber takes on no responsibility in terms of UK drivers, and as the vehicles are not owned by Uber then it is solely the responsibility of the driver to make sure they have the right insurance cover in place. Normal car insurance or van insurance is not suitable for Uber drivers. Uber may not describe themselves as a ‘private hire taxi service’, but that is exactly how UK car insurance companies view Uber drivers – which means you will be required to get the appropriate taxi insurance policy. If you try to save money and take on a normal car/van insurance policy without disclosing to the insurer they you will be carrying paying passengers, then your policy will be invalidated – which will turn out to be a lot more expensive for you. You will therefore require a specialist commercial private hire insurance policy which offers cover for ‘hire or reward’. Uber drivers should also make sure they have public liability insurance to provide cover against any claims made by passengers in the event they are injured or suffer any other form of loss while in your vehicle. When you become an Uber driver, there are several different service options available. These cover everything from providing a normal taxi service to providing a luxury chauffeur service. A ‘low cost’ travel option accommodating up to 4 passengers. A more luxurious ride in cars such as Mercedes-Benz S-Class, Audi A8 or BMW 7-series. Where is Uber available in the UK? These other apps may not have the same level of coverage as Uber, so you will need to check that they operate in your area first.